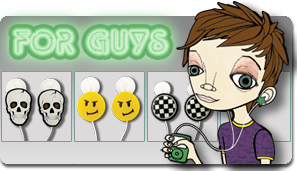 Budclicks began late in 2007 when designer Brian Johnson was on a plane from New York to LA and noticed everybody on the flight wearing the same white earbuds. As one who never succumbs to ubiquity, Brian began drawing up designs that would allow people to individualize and customize their earbuds. Upon landing he quickly created prototypes of the designs, developed a website, filed patents and began selling online. Budclicks received some immediate design credibility when the popular Cool Hunter blog began reporting on this new idea. Shortly after Brian and Budclicks appeared on the Big Idea with Donny Deutsch. Orders began coming in from all over the world and Brian found himself in need of some help. He enlisted his brother(Tim) and long time friend (Roger Thompson) to begin building a business around this new product. 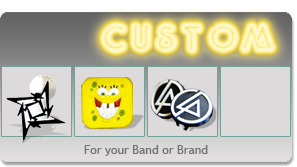 With the partnership in place, Budclicks began developing custom designs for popular bands including Linkin Park and Metallica as well as brands like Hello Kitty and Sponge Bob. 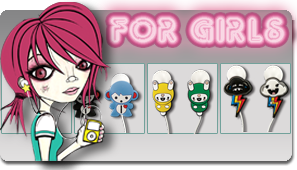 Budclicks also collaborated with Southern California designers to launch it’s first line of retail product in Summer of 2009. These are available through our website and at premium boutiques across the country.